I was so close to being done, and then I noticed this. 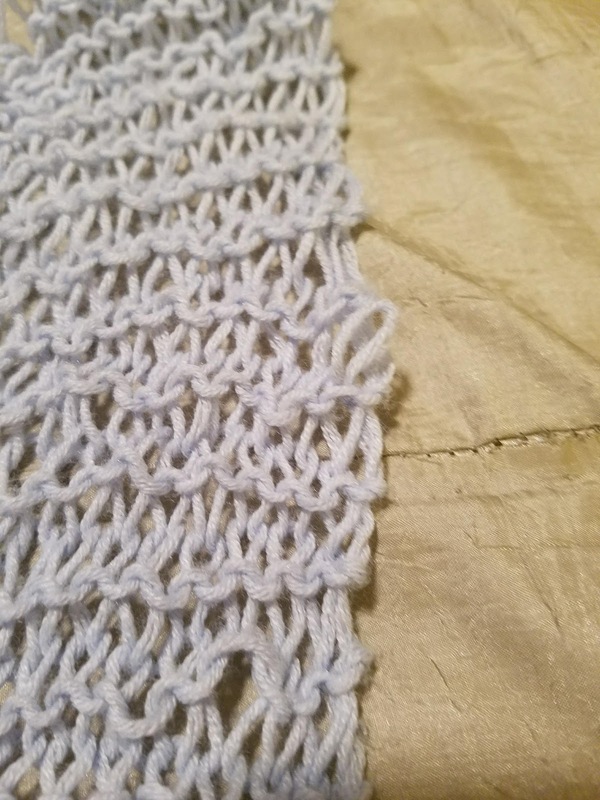 I dropped a stitch way back before the first armhole. So, I am taking it out, and will hopefully finish it by the end of next month. I was hoping to finish it this month, but I need to do some Christmas knitting. This has been a month gone wrong for me. I had high hopes and grand plans, and just about all of them have been derailed.